(upto Rs 5,000) approximate cost,which can very according to the puppy and the location. 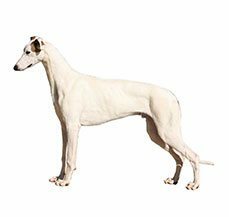 The streamlined, lithe, and graceful Chippiparai is a sighthound that originated and has been bred in Tamil Nadu in South India. 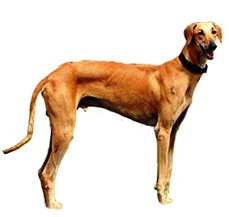 Often compared to the Greyhound because of its equal agility and lean body, as much as this feature is true of most Indian hounds, the Chippiparai epitomises the strong and silent hound dog. These are perfect guard dogs for homes as well as estates, sharp and brave enough to protect the family and affectionate and loyal enough to make a great family pet. This breed is also known to make a great one-man dog, because of their ability to imprint on one human being and become a dedicated companion to him or her for the rest of their lives. This exquisite hunting dog is now close to extinction and, unless responsible and ethical breeders work hard to preserve them, they will soon be another thing of beauty relegated to history books. Bred by the royal families of Chippiparai near Madurai district in Tamil Nadu, India, the Chippiparai was and continues to be a symbol of royalty and dignity amongst the Tirunelveli and Madurai rulers. Chippiparais are known to be fierce hunters and were bred for this express purpose. They were predominantly used to find and kill their prey, mainly deer, wild boar, and hare. Chippiparais are sight hounds, and have eyes positioned in such a way as to give them a 270 degree scope of vision – much more than most other breeds. But the first thing you’ll notice is how skinny they are. Worry not, they have not been starved! Most of their weight is from their muscles and bones, and not from body fat. Chippiparais have short coats and do not require much grooming. You can brush them once or twice a week. Like most breeds, they love being massaged, so they will never complain about being brushed with a soft brush or a hound mitt. 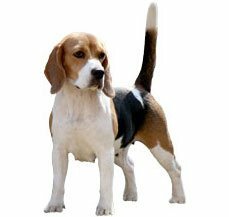 Chippiparais are generally healthy but, like all dogs, are prone to some generic and genetic conditions. Hip Dysplasia is a common condition amongst Chippiparais, where the thigh bone does not fit in snugly at the hip joint. Dogs will express pain or exhibit lameness in one or both hind legs, if they are suffering from hip dysplasia. This condition can be managed with medication if mild, and surgery if extreme. Another common condition that this breed suffers from is Patellar Luxation. In this condition the kneecap is dislocated and the ball-and-socket joint moves in both directions. In some cases, this condition can be treated through medication, although often, surgery is required. Chippiparais are known for their loyalty towards the family and they are intelligent and devoted dogs. While they are by no means unfriendly, they can seem a little reserved in the beginning. Don’t worry, this is just the Chippiparai taking his or her time to warm up to you. They are generally even tempered dogs, although they do have a particular trait: this breed is known to often imprint on one person and then spend the rest of their lives being utterly devoted to that individual. Sometimes, they can even get over-protective about “their” person, being suspicious and even unfriendly towards others. As in the case of most breeds, this trait can easily be handled through early socialisation with several people. These dogs are not good with other small animals, since they were bred to hunt. Unless socialised very early with a host of smaller animals, a Chippiparai can inadvertently hunt and even kill another smaller pet in the family. Chippiparai can adapt to any kind of living environment, whether an apartment or a house. However, the ideal living space for this breed would be a house with a large, fenced-in yard. Make sure the fences are tall though; this agile dog can jump right over a six or seven foot fence! If the Chippiparai has to live in an apartment, be sure to provide him or her with regular and plentiful exercise. These active dogs thrive when they get to have a couple of long walks and runs in a day. Because they were bred in the Indian subcontinent, Chippiparais do very well in most kinds of tropical places. They may not fare too well in very cold places, owing to their thin skin and short coats. Training Chippiparais is much easier when compared to the other hounds, owing to their immense intelligence and desire to please. They need heavy exercise every day and will channelize their energy towards inappropriate things, if their minds and bodies are not exercised enough. The Chippiparai will need consistent training, with a firm but gentle person. They are inherently nervous and shy dogs and will not respond well to harsh treatment. To keep their nervousness and sometimes suspicious behaviour at bay, it is highly recommended that they be socialised with several people and animals from a very young age, and familiarised with a variety of sights, sounds, and scents as well. Chippiparais, at first sight, are often mistaken to be malnourished, underweight dogs. 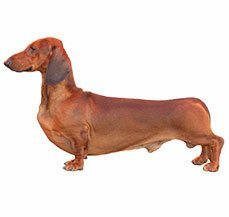 Don’t be fooled: they are skinny and their ribs are visible, but they are amongst the hardiest breeds in the world! Bred to run like the wind and hunt, Chippiparais have narrow limbs and lean bodies. The head and face are long and narrow, and the ears are rose-shaped or forward-facing and drop down. The tail is long, narrow and always carried in a sickle-like curve. The average Chippiparai is 31 to 38 inches tall and weighs between 15 and 20kgs.